A group of students who are in Delhi to take admission in Delhi University along with Maithry — a forum of students from Kerala — members met Kerala Chief Minister Pinarayi Vijayan today with various complaints as the undergraduate admission process in the varsity is underway. They informed the CM that some colleges like Hindu College and Ramjas College are demanding provisional certificate from the students, in addition to the original 12th Mark List issued by the Kerala Higher Secondary Education Board. According to the students, the Board of Higher Secondary Education Kerala issues a mark sheet which is considered as pass certificate, they don’t issue a provisional certificate. According to Maithry, the rationale for asking provisional certificate, while there is an original mark list issued by the government, is not understood. 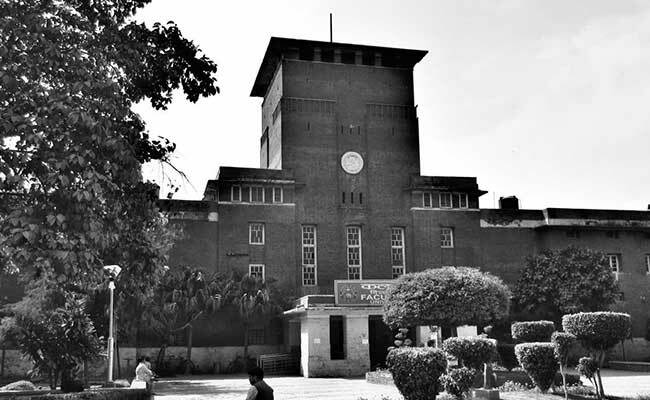 “Maithry has submitted grievances in this regard, to the concerned authorities at Delhi University,” said a statement from the forum. “In general a provisional certificate is only required when the result of an examination is pending,” said a statement from Students Federation of India (SFI) which was part of the delegation. “Provisional certificate is a temporary certificate issued to ensure that the students don’t suffer till original certificate is issued. Provisional certificate is not valid once original certificate is issued by the concerned institute or government department. It is certainly against the university rule and human logic to deny admission citing the lack of provisional certificate once the candidate produces original certificate”, said Abdullah Abdul Hameed, an assistant professor of DU. The delegation also said some colleges are not considering the marks of CE (Continuous Evaluation) in the calculation of best four subjects as do they only considers the model of evaluation of CBSE, that is, 70% theory + 30% practical as the basis of assessment. “There is a deduction of 2.5 marks in the calculation of best for this also is a case of discrimination as Delhi University being a central university cannot have differential basis of assessment for students of different state board,” said the SFI statement. The statement added that Malayalam is not considered in calculation of best four subjects as it is not a a subject whereas regional languages such as Bengali and Punjabi are being considered in calculation of cut-off percentage.